Stormdrum 3 takes “big ethnic drums” to another level. Featuring 87GB of content, this is one of the biggest collections of ethnic drums and percussion, both tuned and unpitched, from around the world. From small woodblocks to a huge, 10-feet-wide rectangular Remo frame drum and a Japanese taiko weighing as much as a grand piano, Stormdrum 3 should be in every serious composer’s toolkit! 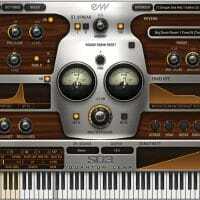 Stormdrum 3 is the follow up library to the hugely popular Stormdrum 2 from EastWest Sounds. 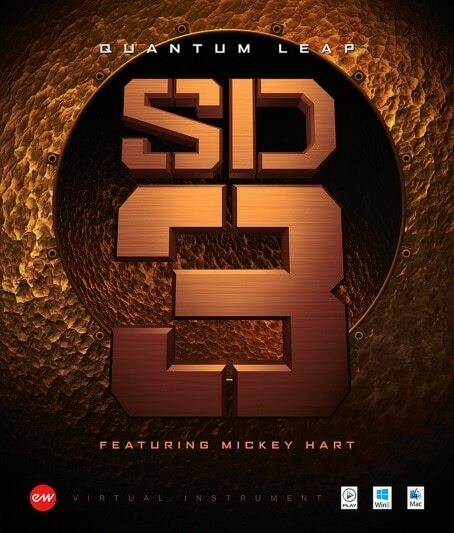 Produced by Nicky Phoenix, “Two Steps From Hell” composer and creator of Stormdrum 1 and 2, Stormdrum 3 contains completely new content, featuring the best instruments from the private collection of Mickey Hart, plus additional instruments from the Remo private collection, hand picked by Remo himself. Played by master percussionists Mickey Hart, Greg Ellis and Chalo Eduardo, Stormdrum 3 was recorded in the world famous EASTWEST Studio 1, the home of major Hollywood soundtracks and television themes. It includes tempo synced percussion performances directed and played by Mickey Hart, with Greg Ellis, Chalo Eduardo and Nick Phoenix and 5 user-controllable mic positions for each instrument. The full list of instruments included can be found in the manual HERE. Stormdrum 3 instrument categories include small and medium drums, tuned percussion, metals, shakers, scrapers, slapstick, huge taikos, and even bigger monstrous ethnic drums, like their 10-feet-wide rectangular Remo frame drum. Big Drums: These are the larger drums that do not fall in the Taiko family. Many of them include large, deep and booming sounds, but others are more complex in nature. There are some real gems in here from Mickey’s magical warehouse of one of a kind hand drums. Highlights in the epic genre here are The Beast, Double Headed Tree Drum, Lord Of Toms Ensemble and Dragon Ensemble. Gongs Clocks Waterphones: These instruments provide the iconic sounds of several gongs and waterphones, some played underwater! The “Clockworks” patches are the result of Nicks field recordings in 6 antique clock shops. Metals: This group includes bells, deep bowls, chimes, and cymbals collected by Mickey on his world travels. Some are well known like the Brazilian berimbau (which is played on a metal wire), others are unusual, such as hammered copper pots and handmade doorstop drums. Shakers: The instruments in this group include several made from naturally occurring objects, such as snake rattles, seed pods, and deer hoofs, in addition to the more common ganza, modern shakers and Mickeys mighty rainsticks. Playability here is key. Small Drums: Here you’ll find a very large collection of smaller drums. Some have names you’re probably familiar with, such as bongos, frame drums, and tambourines. But there are so many others that will surprise and delight you. Many of the Indian drums in this category are particularly special, such as the tuned tablas and madal. Performance techniques are stellar. Taiko Family: This collection includes taiko drums ranging from huge to small. 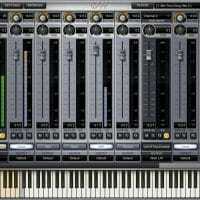 Many of the sampled instruments come from the collections of Mickey Hart and Remo to create a wide variety of sounds. Others come from the top taiko builders in Japan. They are played both individually and in ensembles. This is the Holy Grail of taiko samples. Finally. Woods: In this group you’ll hear unpitched sounds from wooden resonators; tuned chromatic instruments, such as a gourd marimba and a balaphone; the mighty gourd drum, a playable 12 ft. long redwood tree branch and wonderful scraped sounds, such as the Thailand frogs. 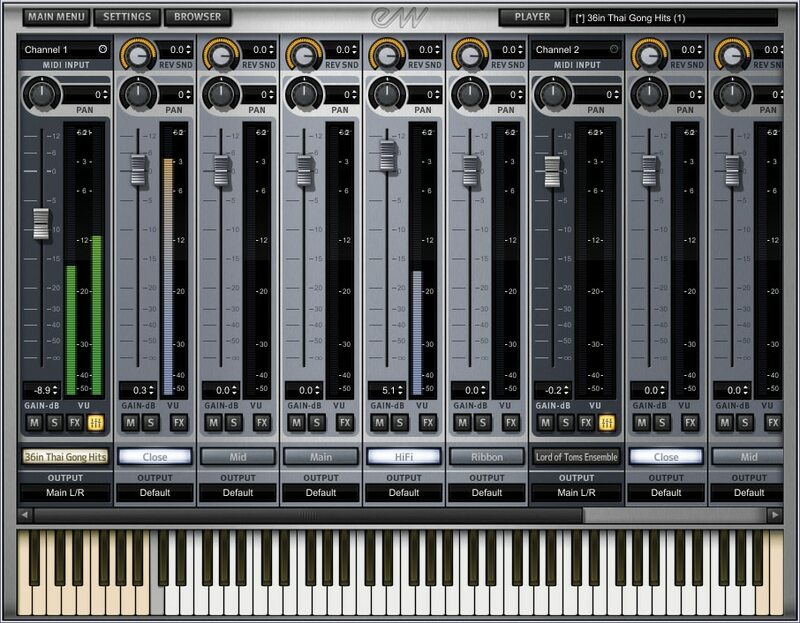 Stormdrum 3 includes EastWest’s PLAY 5 software. PLAY 5 includes SSL FX Suite from Solid State Logic, the industry leader in mixing technology; and an upgraded “true stereo” EastWest reverb. The FX section includes a SSL EQ and Dynamics Channel Strip, Transient Shaper, and SSL’s legendary Stereo Bus Compressor; plus an upgraded “true stereo” reverb from EastWest plus new features. 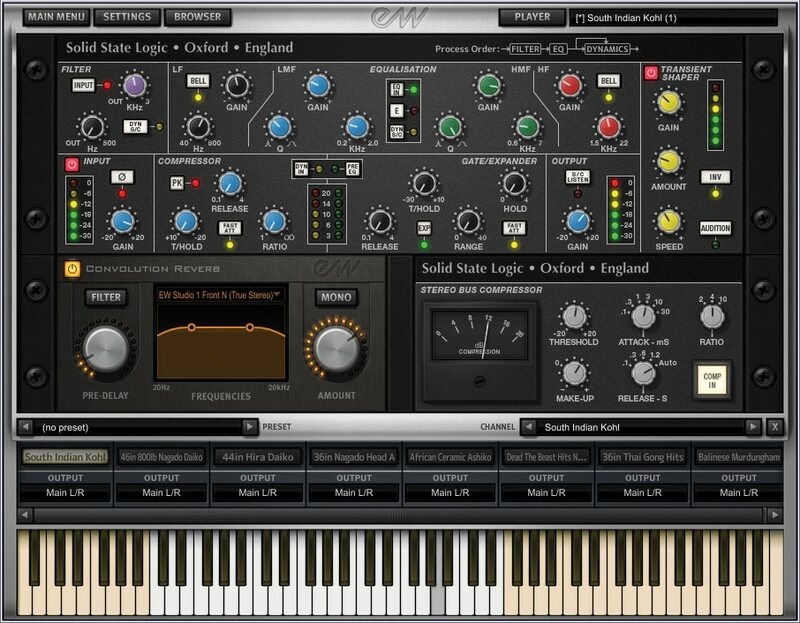 EastWest also added it’s Amp Simulator and Ohm Force’s Ohmicide multi-band distortion software to enable unlimited sound design for film/games etc. 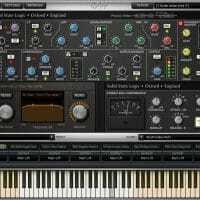 Now, with it’s combination of the new PLAY 5 software, the best sound processing tools available, and world class percussion instruments, Stormdrum 3 is the most advanced percussion virtual instrument to date and a must-have. Read more about these controls in the User Manual HERE. So What Exactly Can I Do With “Stormdrum 3”? “Stormdrum 3” is one of the deepest collections of ethnic drums available. Thanks to the free “Play” engine, you don’t need to buy the full version of Kontakt or any other software to run it either! Normally €340 – get it at 60% off before it’s gone! 60% off the normal price (normally €340)! Perfect for Epic Trailer Music, Cinematic Underscore, Video Games & Sound Design! As with previous versions of Stormdrum, the quality of the recordings is consistently high, with plenty of transient detail and just enough room ambiance (which, of course, can be fully controlled via the mixer) to give the instruments space to breathe. SD3 (still) marks itself out as one of the finest ethnic/cinematic percussion libraries money can buy. Stormdrum 2 contains 16,000 samples... there's a sense of devotion about these projects, the long months spent recording and programming seeming to go well beyond the call of duty. Sample libraries don't get much better than this, and any composer with an ear for sound will find much inspirational material." 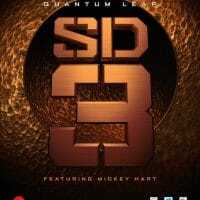 "Stormdrum 3 deserves its place by deftly bridging the world music and cinematic paradigms. In fact, I'll go so far as to say it's one of the best-sounding percussion libraries anyone has created to date." "Stormdrum 3 combines stellar sounds with exceptional playability. For big, beautiful drums and percussion, you simply won't find better." 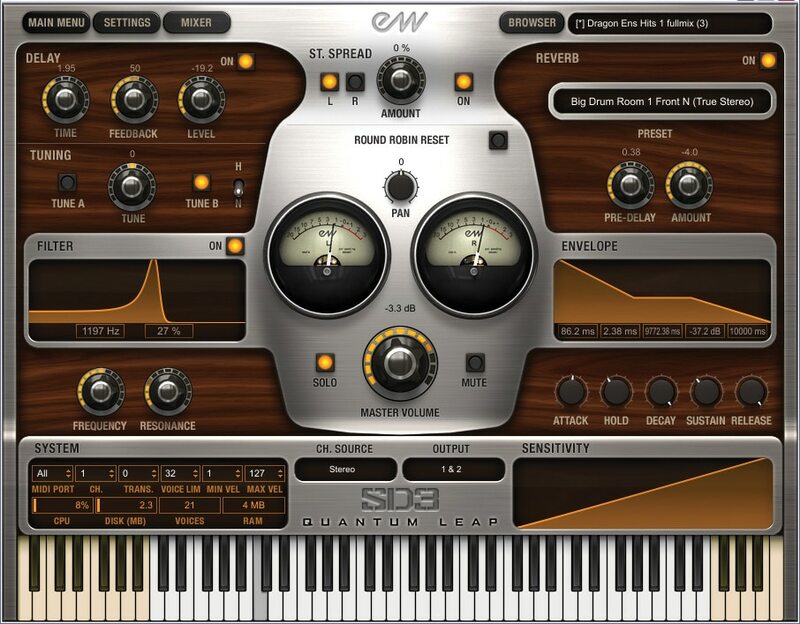 QUANTUM LEAP “STORMDRUM 2” is the sequel to QUANTUM LEAP STORMDRUM (one of the best selling acoustic percussion based virtual instruments ever released). Featuring some of the most amazing, and unique multi-sampled percussion imaginable, SD2 has an unmistakable Hollywood sound-stage vibe and a sound far beyond any other commercial percussion collection!